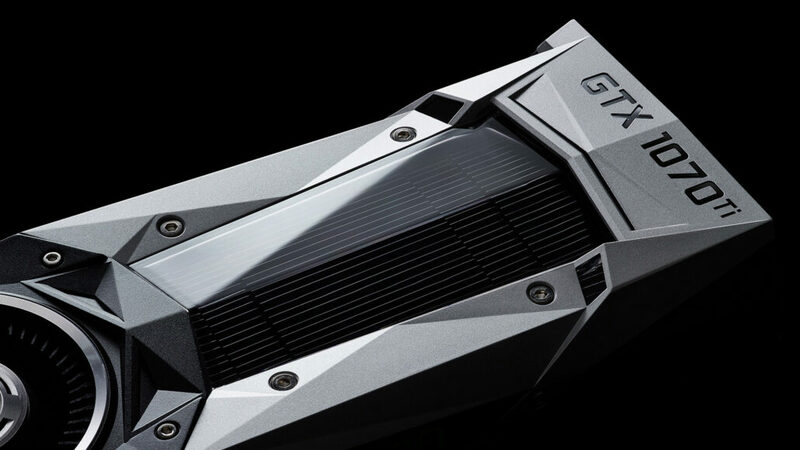 NVIDIA has officially announced their latest GeForce 10 series product, the ‘ GeForce GTX 1070 Ti ‘. Based on the Pascal GPU architecture, the ‘ GeForce GTX 1070 Ti ‘aims to take the under $500 US performance pillar even higher for gamers with advanced features and a highly efficient design. 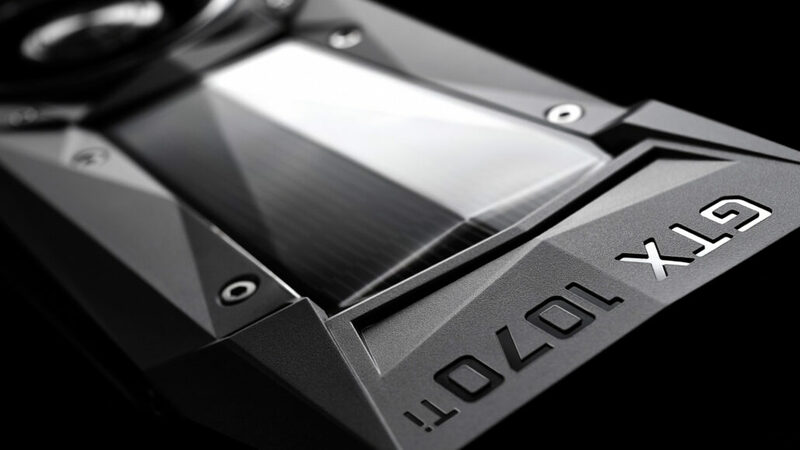 Being the latest addition to the now long running GeForce 10 series, the GeForce GTX 1070 Ti has gained a lot of attention. The graphics card is based on the same Pascal GP104 core that is found on two GeForce 10 series cards, the GTX 1080 and GTX 1070. These cards launched back in 2016 and have already seen price cuts. The GeForce GTX 1080 retails for $499 US and the GeForce GTX 1070 retails for $329 US. There’s a small gap left to be filled in and hence, the GTX 1070 TI is here, sandwiched right in between the previous most popular GeForce cards. In terms of specifications, the GeForce GTX 1070 Ti uses the GP104 GPU to power it all. While we have seen many variants of the GP104 GPU, the GTX 1070 Ti uses an entirely different variant. This new SKU, known as GP104-300 has just one SM disabled meaning it should be very close to the GTX 1080 in terms of specifications and performance. Sliding in between the much-lauded GeForce GTX 1080 and 1070 GPUs, the new GeForce GTX 1070 Ti will be available worldwide on November 2, with preorders starting today — just in time for the hottest games this holiday season — with a suggested retail price of $449. So the chip features the 7.2 billion transistors on a 314mm2 die, has 2432 cores scattered across the 19 (out of 20) enabled SM units. This also gives us a total of 152 TMUs, 64 ROPs and 8 GB of GDDR5 memory clocked at 8 Gbps to pump out 256 GB/s bandwidth. The clocks of this card are maintained at 1607 MHz base and 1683 MHz boost frequencies. In terms of power, the card is stated to feature the same TDP as the GTX 1080 at 180W, requiring a single 8-pin power connector to boot as of reference but custom boards with better PCBs can opt for different power configurations. As for pricing, this card will be hitting retail for a reference msrp of $449 US but custom models would either cost the same or more than that. You can order the reference “Founders Edition” directly from NVIDIA but for custom models, you can pre-order and wait till 2nd November for them to hit store shelves. In terms of performance, NVIDIA officially states that the card offers up to 2x performance over the GeForce GTX 970 which has been the most popular GeForce 900 series card. The card also offers a decent performance bump over the GTX 1070 meaning that those who were planning to purchase a GTX 1070 can now go for a different option under $500 US. That said, we certainly don’t have any more specific performance numbers as of now. Reviews will go live on 2nd November and we are currently testing two MSI GeForce GTX 1070 Ti cards on our test rigs. So sight tight as we bring you performance numbers next week.